“The red line that runs through all of my work [is that] everything I do has to have a functional reason for why it looks the way it does,” says Joris Laarmen. Combining functionalism, which is often associated with soberness and ornament, which is often seen as superfluous to create a functional heater is surprising and ingenious. Large surfaces best radiate heat and this design exploits the complexity (many surfaces) of the rococo style to create a high-functioning heater. 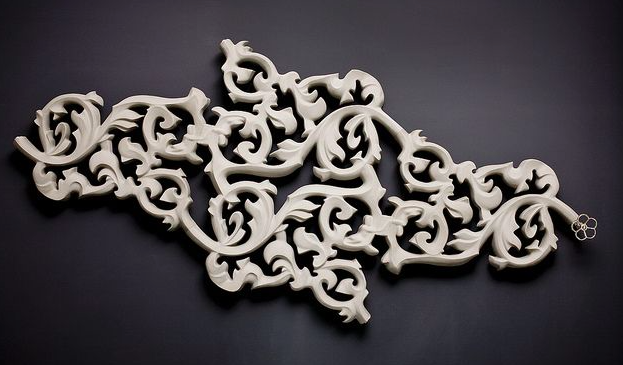 The evolution of the Joris Laarman lab was well presented at Design Miami Basel this June. The ornamental element is still in play within some incredibly challenging 3D printed sleek/minimal fully functional forms. in-situ shot of the Joris Laarmen exhibition at Friedman Benda Gallery’s stand at Design Miami Basel, 2016. Above: The form on the left is a 3D printed screen (there were mesmerizing videos behind it showing the process). To the right is a 3D printed metal bench. The first chair in the microstructures series was called the Soft Gradient Chair and elaborates on the use of polyurethane in furniture design, but now in the digital age. It was designed and 3D printed in thermoplastic polyurethane. 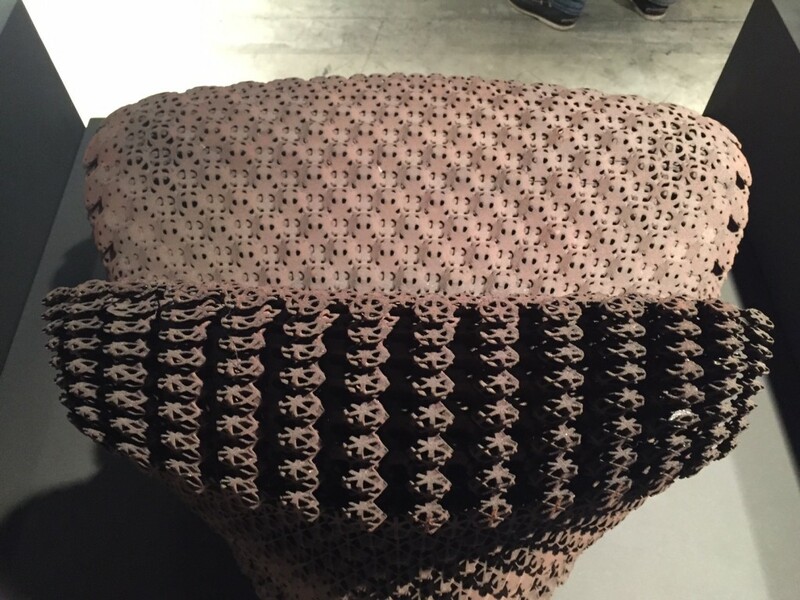 Using generative design tools and new material research, they basically created foam that is engineered on a cellular level to address specific functional needs for different areas in the object. Above: Detail of the complexity of the design. Above: View from the top. 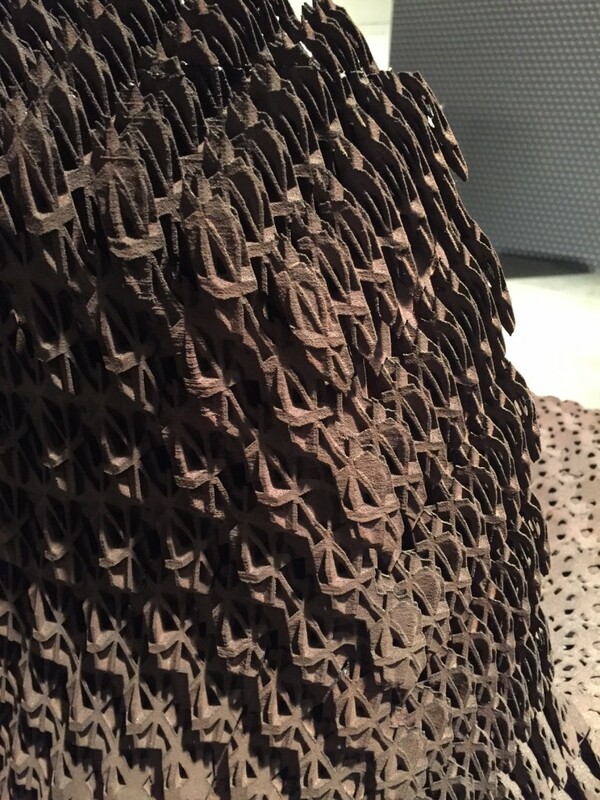 The solid cells in the design create structural strength and rigidity, while the more open cells create softness and comfort, all within one printing technique. 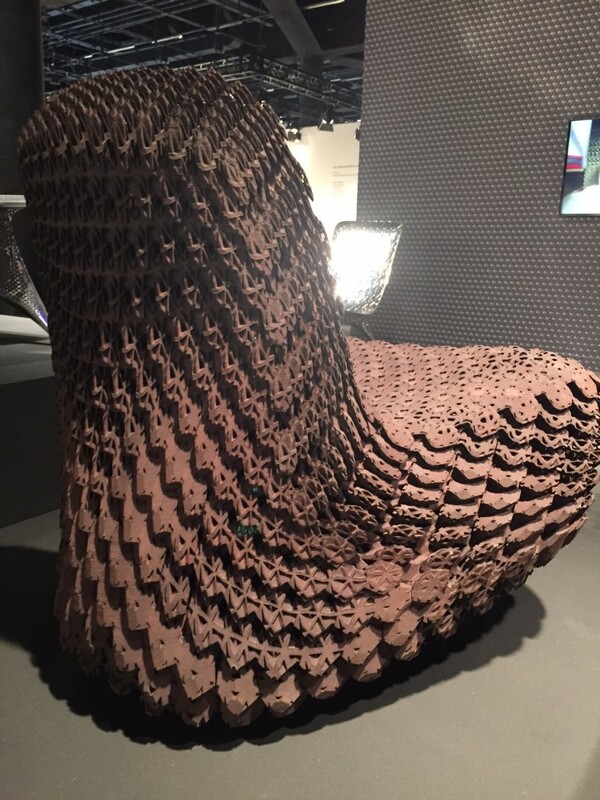 The Soft Gradient Chair is part of the permanent collection of the Museum of Modern Art, New York, and the Milwaukee Art Museum. 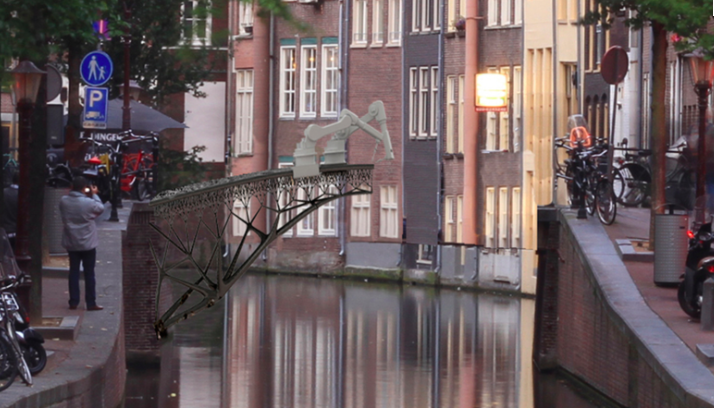 Parallel to these small-scale domestic designs, Laarman has been commissioned to build a 3D printed steel pedestrian footbridge with MX3D over a canal in Amsterdam to open for public use in 2017. 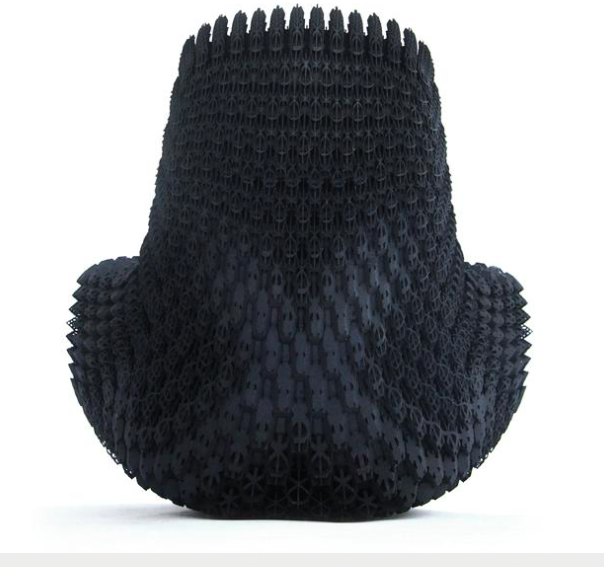 MX3D is an R&D company working to develop cost-effective robotic 3D printing technology. The company has invented a 3D printing tool in the form of a six-axis industrial robot with an advanced welding machine that can 3D print metals and resin in mid-air, without the need for support structures. The tool adds small amounts of molten metal at a time, enabling it to print extremely intricate metal shapes. The retrospective of Laarman’s work which debuted at the Groninger Museum in the Netherlands, will arrive at the Musée des Arts Décoratifs in March 2017 and is scheduled to travel to points the US after that.